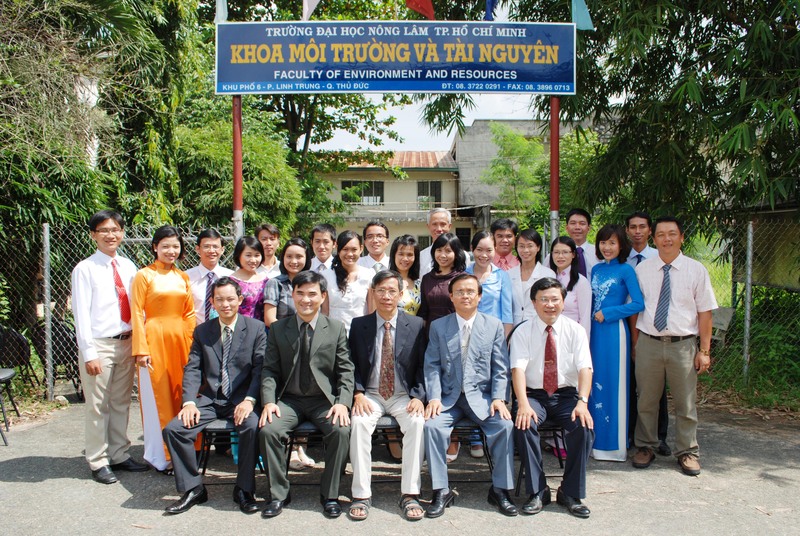 The Faculty of Environment and Natural Resources was established in December 2008 in combination of Faculty of Environmental Engineering (2001), Department of Landscaping and Environmental Horticulture (2002) and Department of Applied Geometrics (2006). It comprises 5 departments: Environmental Science, Environmental Engineering, Environmental Management, Natural Resources GIS, and Landscaping and Environmental Horticulture. The Faculty has many well-equipped laboratories. - Applying information Technology in GIS and Remote Sensing. - Establishing production process of valuable trees, flowers in other to serve social needs.